Mobile barcode technology, first developed and used in Japan, has dramatically improved direct marketing results for Brands, advertisers, mobile carriers, handset manufacturers, and publishers. 2D mobile barcodes are used in direct response, multimedia marketing, and promotional campaigns. Mobile barcode technology, companies, such as 3GVision, Neustar, NeoMedia, and others are forging ahead, establishing barcode standards among mobile carriers to reap the benefits of enhanced direct marketing. Started in 2000, the company is a leader in mobile barcode reading and advanced image processing technologies used by mobile carriers, handset manufacturers, advertisers and end-users. Direct response marketing campaigns and other applications that access mobile Web content are the main uses of 3GVision’s technology, currently installed over 100 million handsets worldwide. Its i-nigma, an end-to-end1D/2D barcode solution, increases revenue opportunities for mobile operators and print campaign effectiveness for media and marketing companies. Partners include mobile carriers such as Telstra in Australia, France Telecom, and Japan’s NTT Docomo; Nokia, Samsung, LG, Sony Ericsson, Motorola and other mobile handset manufacturers; and most Japanese vendors like Sharp, NEC, Kyocera, and Toshiba. 3GVision is the ‘de facto’ industry standard for mobile barcode technology in Japan – the first fully developed mobile barcode market in the world. Yossi Lev, CTO and Co-Founder, drives the development of 3GVision’s image recognition technologies, overseeing all operations and technical development. With over 20 years of industry experience in the fields of video and imaging algorithms and related technologies like robotics, imaging, video recognition, compression, character recognition and other technologies, Lev is one of the most knowledgeable experts in the field. Previous to joining 3GVision, Yossi was CTO for Onset Technologies where he led new innovations in fax and voice message routing solutions. He was also with Camtouch, a video recognition/touch-screen applications company. He holds a B.Sc. in Physics and Mathematics from Tel-Aviv University. Yossi Lev discusses how 3GVision was formed based, in part, on his passion for “computer companions” with eyes that could help humans process enormous quantities of information and data. That led to his belief that camera phones, when they emerged around 2001, were powerful tools to enable facial recognition, OCR, barcode reading and document scanning. Visionaries in Japan apparently agreed with him. While the rest of the world crawled out of the dot-com bust, Lev and other mobile barcode experts were talking with Japanese mobile carriers who were seeking camera phone applications. The idea of using camera phones to scan barcodes was not new to the Japanese. 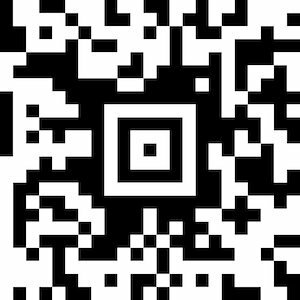 For years, QR Codes (essentially the same as 2d barcodes) were deployed in Japan’s auto industry logistically to monitor auto parts. 3G networks, although not necessary for effective scanning of barcodes by mobile phones, helped optimize their use, making Japan the technology leader. Mobile barcode technology, while challenging at that time, resolved in simpler applications, such as capturing an URL with the phone’s camera to access Web content tied to marketing campaigns. 3GVision’s technology, embedded into mobile handsets, captures barcodes found in newspapers, magazines, books, business cards–virtually anywhere and everywhere. 2D barcodes, according to Lev, are even capable of sending SMS messages captured by a mobile phone. Applications for brands to better communicate with customers and capture demographic information are unlimited. By offering informational content or prizes, mobile users are encouraged to snap a picture, which automatically delivers the requested information, coupon or another incentive. Pepsi, for example, put barcodes on its soft drinks to persuade its customers to interact with the company, leading to closer relationships between the Pepsi brand and customers. Many companies use bar codes on business cards to drive traffic to landing pages improving conversions. Barcodes are also useful in document scanning or reading business cards. Despite the privacy concerns, market researchers, including those with mobile carriers, can take advantage of mobile barcode technology to capture essential marketing data about customer behavior, location, and product preferences, improving target marketing and advertising campaigns. Yossi Lev candidly discusses the need for barcode technology companies, publishers, brands, retailers, service providers and handset manufacturers to adopt industry standards. Otherwise, brands and other advertisers are reluctant to mount mobile marketing programs incorporating the technology. As already mentioned, Neustar and other companies in the industry are pushing for standardization that will benefit all stakeholders who either manufacture or deploy barcode technology for direct response advertising.